November 6, 2018: Could the MSNBC Host be Liable for a False Accusation in a Retweet? 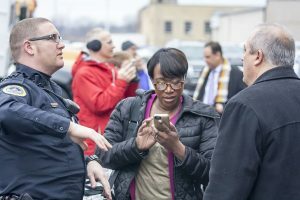 MSNBC host Joy Reid is being sued for defamation for using her substantial social media presence to publish an inaccurate account that took place at a city council meeting in California. The Hollywood Reporter spoke with experts that are are split as to whether the initial tweet was defamatory, but agree that Reid’s retweet could make her liable for defamation if the court decides that the original tweet was in fact defamatory. Although La Liberte is not a public figure, the tweet centers on a national issue of public concern. For an explainer on libel, click here.